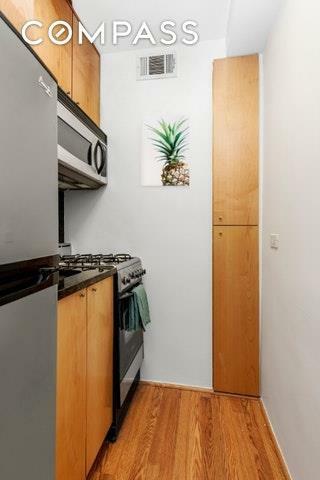 Apartment 7A at 35 East 38th Street: a spacious, turn-key alcove studio in Murray Hill that's calling YOUR name! Efficiently laid-out and with a large footprint, this sweet home has plenty of space for every aspect of your daily routine, including dining, entertaining, chilling on the couch and sleeping. Three deep closets and built-ins beneath the windows allow plenty of storage for your belongings... this will be a clutter-free zone! The parquet floors are in great shape, and the apartment is freshly painted and squeaky clean. The home is pin-drop quiet too... your peaceful retreat and sanctuary from the hustle of city life. You'll feel absolutely uplifted!The Elysabeth Condominium is a full-service building with an attentive staff. In addition to a full time doorman, the building offers laundry, storage, a garage and a fitness facility. Cats and dogs are permitted. 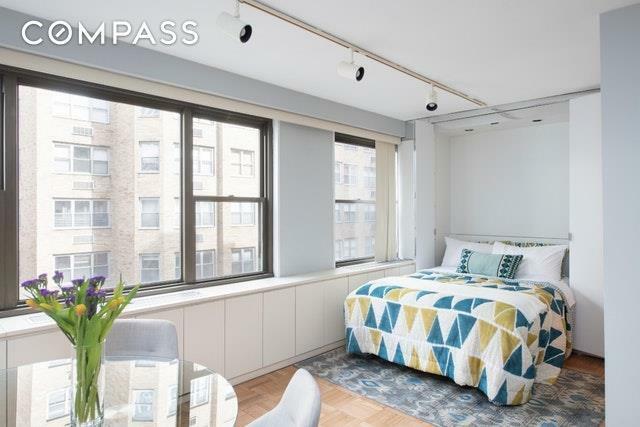 Situated conveniently at the northern limit of Murray Hill, youll find it effortless to venture to Madison Square Park, Gramercy Park and Union Square. The options in the neighborhood for restaurants, bars and nightlife are unending, and for those who work in Midtown, the commute to work is non-existent (hit the snooze button one more time)! 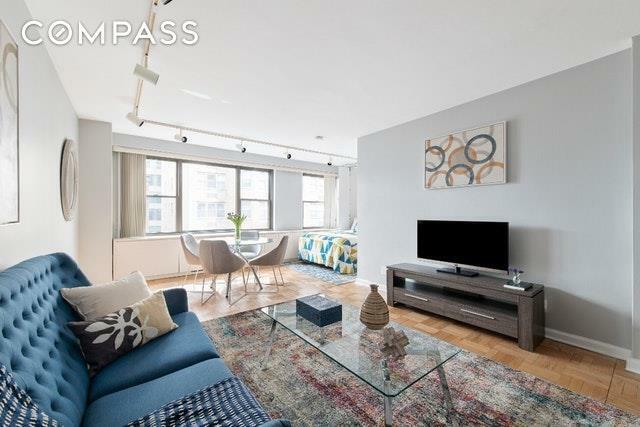 Located right near Grand Central and just a few avenues from Penn Station, the location couldn't be more convenient either.Come see 7A today... you'll be so happy you did. Listing courtesy of Kelcey Otten of Compass.